The newly redesigned Toyota Camry is out, and an improvement-at least in looks-to years past. Not known for its head-turning looks, the Camry, has been nevertheless, a standard in the automobile industry; a dependable, comfortable sedan with decent fuel economy. 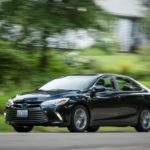 Ten years ago, Toyota added the gas-electric hybrid powertrain to the lineup, capable of 34 mpg, a mere 10 mpgâ€™s better than the conventional Camry four-cylinder engine. The Camry was and is a large sedan, with a decent amount of cargo space and a lot of comfort; especially over the road. Honda, of course, entered the fray, with its 2005-07 Accord hybrid V-6, but didn’t hit the mark, although has improved it since. Other manufacturers, such as Chevrolet and Nissan also added hybrid sedans, the Malibu (2008-10) and Altima (2007-11), respectively. 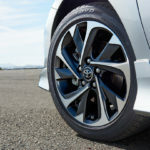 While the Accord offered more power than the Camry, Nissan borrowed Toyota technology, and Hyundai fell short with its 2011-12 Sonata hybrid. As with many things automotive, others have learned from Toyota. Since then, other manufacturers have added hybrid sedans, yet, none have matched the Camry. Like any other sedan, the Camry has its highs and lows. In other words, it isnâ€™t perfect. However, the spacious interior is hard to match, along with Toyotaâ€™s infamous reliability. Donâ€™t expect handling and style to be at the top of the list in hybrid sedans. And although fuel economy is good, itâ€™s not stellar. Consumers can opt for the standard Camry mid-size sedan 4-cylinder and expect fuel economy to be almost as good as the hybrid. As with all things technological, Honda and Chevrolet have caught up. And Ford Fusion is perhaps, Camryâ€™s best competitor to date. Receiving updates in 2015, the 2017 Camry is still equipped with Toyotaâ€™s 2.5-liter Atkinson-cycle four-cylinder paired with a 141-hp electric motor powered by a nickel-metal-hydride battery pack. A second motor/generator determines the drive ratio between the engine and the differential. We averaged about 38 mpg. these last few days in the Camry sedan. Our XLE trim version probably added a little weight due to some extras not included on a SE model. Acceleration and keeping up with traffic on the highway were no problem, and as quiet as the Camry is, one doesnâ€™t always know youâ€™re quickly approaching 80 mph. Responsive to acceleration, the Camry passes with little effort. Spirited driving, it isnâ€™t. But it suffices for most. Our XLE trim level came equipped with several options, including Safety Connect (Emergency assistance, Stolen Vehicle Locator, Roadside Assistance and Automatic Collision Notification, (available by subscription), $515; Blind Spot Monitor with Rear Cross Traffic Alert, $500; Convenience Package (HomeLink Universal Transceiver, Anti-Theft system with alarm, $345; Entune Premium JBL Audio with Integrated Navigation and App Suite, including Entune Multimedia Bundle (7-inch high resolution touch screen with split-screen display, AM/FM/CD player, MP3/WMA Playback Capability, Ten JBL GreenEdge speakers in eight locations, auxiliary audio jack, USB, 2.0 port with iPad connectivity and control, Advanced Voice Recognition, Hands-free phone capability, phone book access and music streaming via Bluetooth wireless technology, Siri Eyes free,Entune App Suite, HD Radio, HD radio predictive traffic and Doppler weather overlay, AM/FM Cache radio, Sirius XM satellite, Sirius XM all-access trial, Gracenote album art cover, $710 and Advanced Technology Package (pre-collision system, Lane Departure Alert, Dynamic Radar Cruise Control, Automatic High Beam), $750 and power tilt/slide Moonroof, $915. Trim levels in the 2017 Camry include the base LE and XLE and SE. As always, our test vehicle was top-of-the-line. Pricing ranges from roughly $27,94-$34,999. Anything under $35,000 with all this standard equipment-and highest tech options-is still below average price range for vehicles today. The SE trim level offers a little sportier sedan, but doesnâ€™t seem as appealing. In general, the Toyota Camry, as popular as itâ€™s been, isnâ€™t the newest or coolest sedan out there. But it is reliable, comfortable and a well-rounded choice for a midsize family sedan. As with all Toyota products, fuel economy is better than average, will last as long as you want it to, and offers a lot for the money. Available in over 10 colors for 2017, our test XLE came in the very stunning Cosmic Gray Mica, with sparkles and a deep rich tone. One would mistake it for black. The interior, a black leather-trim, has heated seats, 8-way power driverâ€™s seat with lumbar, dual zone auto climate control, tire pressure monitor system and backup camera. Weâ€™re all so accustomed to these goodies, itâ€™s hard to come down. Without nick-picking, itâ€™s difficult to find too much to complain about in the 2017 Camry Hybrid. A generally nice vehicle, although not as snazzy as some, driving it over the long haul would satisfy most sedan shoppers. For that reason, we give it a passing grade. Engine: Hybrid Synergy Drive System, 2.5-liter, 4-cylinder DOHC, 16-valve w/VVT, 199 lb.-ft.torque, 200 hp. EPA fuel economy: 38/40 mpg. Had the Toyota 86 previously, a Scion vehicle) been around in the 1990s, it would have made a huge hit. Going up against the Ford Mustang, Mazda RX-9, and the like, it would have appealed to not only young males, but women alike. 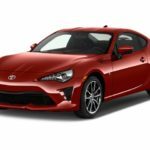 According to Toyota, the Toyota 86 should appeal to two different groups for 2017: Young males who are looking for a base level sports car they can customize and the empty nesters who are nostalgic for their sports-car youth. Our two-door coupe 86 came equipped well, with a MSRP of $26,975. Introduced as this yearâ€™s model, the Toyota 86 received a few tweaks to go with its new name. An iteration of the Scion FR-S, the 86 shares a lot with Subaruâ€™s cousin, the BRZ. Toyota has also added the 860 Special Edition to appeal to the more financially-able Boomer set. With a production run of one month, the Special Edition will offer 860 Supernova Orange models with a black stripe, and the 860 Halo White model. Currently, Toyota does not intend to offer this edition after 2017. If one opts for the special edition, there are some extras, including heated front seats in black leather with orange stitching, smaller but thicker steering wheel (black with orange stitching), heated side mirrors, leather around the shifter and hand brake, a push-button start, and a dual-zone climate control. Engine output is increased in the manual by five horse (205 hp. ), and torque (156 lb.-ft.), at 6,400 RPM. The 860 has a stiffer body with retuned suspension, new rear anti-roll bar and softer springs. Starting at $30,000 for six-speed manual, one can also opt for the six-speed automatic with paddle shifters, and rev-management technology at $30,760. Toyota is estimating about 60 percent of sales will be the manual transmission. Each special edition includes a 4.2-inch multi-information display with g-force meter and stopwatch, horsepower and torque curves, engine coolant and oil temps, and miles-per-gallon. New for its intro as a Toyota offering, the 86 has a redesigned front and rear fascia, 17-inch black chrome alloy wheels, LED fog lights and restyled fender vents. This is a great little coupe and handles well, with a pretty decent ride, considering its low to the ground. As expected, safety technology is top-notch and includes stability control, traction control, ABS, brake assist, Electronic brake force distribution, smart stop technology, hill-start assist control, VSC track mode, and advanced air bags, side curtain air bags and seat mounted side airbags. Standard rearview camera is also included. Power side mirrors, Automatic Projector-Beam LED Headlights, LED taillights and DRLâ€™s are also standard. The 7-inch Pioneer Touch-Screen Display is small, and is complete with AM/FM/HD radio with 8 speakers, AUX/USB port with pod connectivity, hands-free phone capability music streaming via Bluetooth wireless technology, aha app. Of course, there is no more CD player, assuming most consumers will be utilizing a iPhone for their own tunes. The rear seat is very small (think 5-year-old or small bags), and folds down for cargo capability. A/C and window defoggers are standard, as are tilt/telescoping steering wheel, and carpeted floor mats. Our test Toyota 86 did not come with any options. There are accessories one can opt for, including one optional display audio system with navigation and iTunes, tagging, Pandora internet radio. Other available accessories include wheel locks, carpeted trunk, cabin floor mats, ashtray kit, mud guards, lowering springs, forged wheels, thicker rear sway bar, TRD exhaust system, TRD air filter, rear spoiler. The Toyota 86 is a fun, discretionary-income coupe, with a simple, yet quality interior. Seats are comfortable, although somewhat hard, but fit well. The styling is â€˜classicâ€™ coupe, yet up-to-date, handling is nimble and pricing just about right. If there are any dislikes, one would be the small rear seating. Some may think â€œWhatâ€™s the point,â€ but perhaps along with insurance advantages (? ), there is room for items, especially when youâ€™ve got a passenger along. The 86 doesnâ€™t have a lot of pickup/torque, but itâ€™s adequate for most purposes and wonâ€™t get you in trouble. We would have liked to try the manual transmission as the automatic is not terribly refined. Donâ€™t expect a lot of power, but then thatâ€™s not Toyotaâ€™s focus. However, Toyota has upped the torque and horsepower for 2017, by five each (205, 156 lb.-ft.). This writer isnâ€™t a fan of the paddle shifters, but perhaps for drivers wanting to get the most out of the engine, this may satisfy. We enjoyed our days in the Toyota 86 and even in some late winter Chicago snow, it handled well. We especially liked the Hot Lava color! EPA fuel economy: 28/24/21 mpg. Warranty: 3 yrs./36,000-miles basic; 5 yrs./unlimited mileage corrosion; 5 yrs./0,000-miles drivetrain; 2 yrs./25,000-miles maintenance; 2 yrs./25,000-miles roadside assistance. 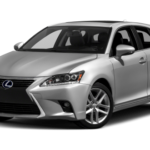 Although some have named Lexus CT 200H a â€œgood value,â€ weâ€™re not sure we are in agreement. At $30,000 it may be; at a total vehicle price of $41795, it wouldnâ€™t make our list. A premium-compact vehicle, the 200h gets notice due to its high fuel economy ratings (42), sports handling and pricing. Itâ€™s also been called â€œBest in Segmentâ€ with a driver-friendly cabin and superb ergonomics. The ride in the Lexus CT 200h is smooth, yet bottoms out when navigating rough roads. Seating is comfortable and body-fitting. The driverâ€™s seat is a 10-way multi-adjustable power seat so drivers of all sizes and shapes will most likely find a comfortable driving position. Our test 200H came equipped with several options, making the total vehicle price climb into the $40,000+ range. Included among those options were the F Sport luxury package for Navigation (F Sport 17-inch alloy wheels, Sport Tuned suspension mesh grille, rear spoiler with cutouts, black roof, F Sport Exterior fender and rear badges, perforated leather trimmed steering wheel, perforated leather trimmed shift know, F Sport smooth leather seats, Aluminum sport pedals-accelerator, brake, footrest, Metal Tone instrument panel trim, black headliner, rain-sensing wipers, HomeLink garage door opener, rear mirror with memory and automatic reverse tilt, heated front seats, 4-way power front passenger seat, driver seat memory), $3,325. 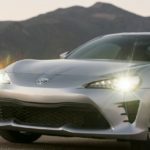 The F Sport LED headlamps/flog lamps/driving lamp option was $1,265, and the Navigation System option, including backup camera, premium audio system, remote touch controller, Lexus Enform service connect, remote destinations, Lexus Enform App Suite, was priced at $3,480. And the final option on our test vehicle, the Pre-collision System Dynamic Radar Cruise Control ($1,500). Without these options, of course, the 200h hybrid carries a more reasonable price point. The F Sport packaging adds a little panache to this little hatchback, such as a more aggressive front fascia, a sport-tuned suspension and 17-inch alloy wheels, rear spoiler and black roof. Compliments came from friends as a nice package-hatchback with some extra room-and good looks, but when hearing the sticker price, said ‘no way.’ And although itâ€™s hard not to say good things about any Lexus product, we wonder how necessary this compact is in the lineup. If looking for a fun-to-drive, easy to maneuver and always reliable hatchback, the 200h CT offers great fuel economy, handles well for a hybrid and has a very smooth hybrid powertrain. However, for a hatchback configuration, the CT has poor visibility, small cargo space (14.3 cubic feet) for a hatchback design and lacks sufficient power when attempting to pass, merge or climb hills. The rear seats do fold (6/40), making for added space. The Lexus CT 200h comes into 2017 with few changes. The CT 200h does get four new exterior colors, including our test vehicle color, Atomic Silver. Does silver never die? Other than black and the popular gunmetal/gray, silver is ever popular. The other new colors include Caviar, which replaces the Obsidian-base model only, Autumn Shimmer (replaces Fire Agate Pearl)-base model, and Blue Vortex Metallic (replacing Ultra Blue Masonic). Safety equipment on the Lexus CT 200H is plentiful and expected, including ABS, with Electronic Brakeforce Distribution (EBD), Brake Assist, Vehicle Stability Control, Traction Control (TRAC), and Electronic Throttle-Control System (ETCS); Smart Stop Technology, Curtain airbags, supplemental restraint system, passenger knee airbags, front side impact airbags, side curtain airbags, supplemental restraint system and Safety Connect with Automatic collision notification, stolen vehicle location, emergency assist button (SOS),and enhanced roadside assistance (1-yr. trial), and LED running lights. Perhaps more than other manufacturers, Lexus does offer some standard equipment on the CT 200h, such as carpeted floor mats, Lexus personalized settings, Tunneau cover, XM Satellite radio, USB input/Miniplug auxiliary input for MP3 player, tilt/telescoping steering column, 4-Mode drive mode select, SmartAccess with Push-Button Start/stop, and audio controls on the steering wheel. The 2017 CT 200h offers a smooth ride, is easy to navigate and with the F Sport suspension, deals well with most road surfaces. It is a fun car to drive, although not a challenging or performance-oriented one. Apart from the out-going Prius, the CTâ€™s rear suspension is a independent double wishbone rear suspension. The CT offers only one transmission: the electronic continuously variable (eCVT), paired with an Atkinson cycle, 1.8-liter I-4 /electric motor backed by nickel-metal hybrid battery. This is reflected in good fuel economy (43/40), but less than the current generation Prius. Key competitors of the Lexus CT 200h include Audi A3, Mercedes-Benz CLA-Class, Acura ILX and Lincoln MKZ Hybrid, to name a few. The hybrid powertrain in the Lexus CT 200h is shared with its cousin, the last-generation Prius and larger Prius V.
The Toyota iM-formerly the Scion iM is a great little hatchback. As everyone knows, any Corolla product is a winner, with great fuel economy, comfortable ride and pep, this is one of the greatest vehicles every introduced. The questions remains: Why did Toyota build the iM as a Scion when they knew the Scion nameplate would be leaving the lineup. After 10 years, Toyota no longer saw a need for the Scion brand, having penetrated other markets aimed at younger buyers. The practical hatchback, although maybe small for some consumerâ€™s tastes, is the blend of comfort, room and totability. We prefer it over the average SUV of today. With its long list of amenities, and now more upscale materials, the iM is the perfect daily driver. Our test iM came equipped with the 7-speed CVTI-8 automatic transmission, with sport mode. The jury remains out for some on the CVT transmission; we find it at times annoying when trying to take off from a standstill. Its habit of hesitating can be unnerving. Our test Corolla iM Hatchback did not come with any options, so itâ€™s MSRP at $19,490 seemed more than reasonable. How many good vehicles can you purchase for just over $20,000? Not many in todayâ€™s market. A new edition to the Toyota lineup, the iM and its stablemate the iA, started out their lives as Scion models. In 2016, they became part of Toyotaâ€™s brood. A compact four-door hatchback, the iM is larger than Toyotaâ€™s Yaris subcompact hatch. Competition in this category is plentiful and includes some of the more well-known compact cars such as Ford Focus, Chevy Cruse, Nissan Sentra, Mazda3, Honda Civic and Kia Forte5, to name a few. Powered by Toyotaâ€™s 1.8-liter inline-four cylinder engine, the iM is powered by 137 horsepower (126 lb.ft. torque). 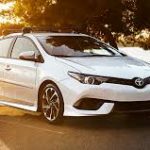 The Scion iM was rated at 28/37 mpg. for the automatic; 27/36 mpg. with six-speed manual. The Corolla iM hatch features a 60/40 split-folding rear seats, great for gear, dogs, or toting anything a sedan canâ€™t accommodate. For some who favored the popular Toyota Matrix (now discontinued), the iM hatch might be a choice. The cabin is cozy, well-appointed and just plain comfortable. We looked forward to going places during our week with the iM. The engine is quiet, the interior is quiet, and driving on local roads or highway is stress free. If youâ€™re looking for a more sporty vehicle, the Mazda3 will probably better fit that bill. The Focus is also got better handling and agility. But for those who are die-hard Toyota owners, the iM will be a nice addition to the fleet. For those who follow European/American twins vehicles, the Corolla iM is based on the Auris hatchback, sole in several European countries. It’s hard to beat Toyota iMâ€™s overall value; The ride comfort, fuel economy and high-tech features make it stand out. Automatic Emergency Braking, Lane Departure Warning, side-mounted and rear airbags are equipment not seen in compact cars of years past. One can feel very safe in the iM, despite its smaller stature. We prefer it to bigger SUVâ€™s. The handling, acceleration and snug rear seat may be drawbacks for some consumers. We found the sound system, despite its six speakers, to be not very good. It was difficult finding stations that were clear and consistent. We didnâ€™t take advantage of the multimedia system, but hear mumblings that it wasnâ€™t the best. Power-folding side mirrors and backup camera are standard; both nice features. It is always a wonderment to us how the Mitsubishi vehicles continue to remain in the U.S., with all the competition. Although, sales figures demonstrate a good year in 2016, and already February 2017 sales of the Outlander (up 72.8 percent), and Mirage/Mirage G4 (up 145 percent) have increased in volume. For 2016, Mitsubishi launched the Mirage G4, a new plug-in Outlander version and announced the Outlander PHEV was going to be available in all 50 states. Since 2014, sales have increased every year, suggesting there is still a buyer for this brand. With improvements and a new game plan, Mitsubishi is still appealing to some. However, the 2017 Mitsubishi Lancer still maintains a dated, almost cheap-looking interior, as it shows its age. Appealing perhaps to â€˜money-consciousâ€ buyers, the Lancer seems old-fashioned, when compared to such competition as the redesigned Chevy Cruze, Ford Focus and Honda Civic. Updated over the years-particularly, since 2014-the Lancer is the oldest four-door sedan sold in the U.S. In its 11th year, the Lancer is available in four trim levels: ES 2.0, ES 2.4 AWC, SE 2.4 AWC and SEL 2.4 AWC. All but the entry-level ES 2.0 model offer all-wheel-drive as standard. Very few changes are on board for the 2017 model year. Our test car, the top-of-the-line SEL 2.4 AWC came equipped better than most, and carried a MSRP of $22.095; still a reasonable price for a compact sedan. Our test Lancer SEL came equipped with one option, the SEL Sun and Sounds Package (power glass sunroof, 710w Rockford Fosgate Premium Audio System w/9 speakers, $1,500). With destination charges ($835), the SEL carried a total MSRP of $24,430. Maintaining its claim of â€œvalue for the money,â€ the Lancer has been updated, somewhat. Still, the car is noisy and unrefined, compared to the competition, has a bare-bones interior and so-so fuel economy (23/30/26 mpg. in the 2.4 SEL AWC). The knobs on the audio system are extremely small, making it difficult, we suspect, for the average male to grasp them. Everything feels â€˜basic,â€™ and nowhere near high-tech. Which is ok for us, but for the average techie, this car wonâ€™t appeal. The Mitsubishi Lancer has always maintained a â€˜squareâ€™ sedan look. As more and more compacts, and all car lines, become etched, with creasing and aerodynamic styling, the Lancer compact just looks more dated. The Lancerâ€™s front end changed somewhat, with grille openings split. Rather than moving ahead in time, though, the Lancer seems to bring back some of its original styling (2007). The Lancerâ€™s interior is less than inspiring; the center console, new for 2016, is small; the fit and finish and materials are dated. For 2016, the interior black trim and upgraded upholstery was new, but they didnâ€™t really bring the car into the 21st century. On the other hand, the Lancerâ€™s interior is fairly roomy. The seats, although rather stiff, are comfortable. Road and tire noise, though are present, and most rugged streets arenâ€™t solidly manipulated. The engine is loud and the hard plastic inside just isnâ€™t attractive. The Lancer offers a base front-wheel-drive ES model, with a 2.0-liter, inline-4 engine, teamed with the 5-speed manual gearbox. An optional continuously variable transmission (CVT) is available. Moving into the other trim lines (ES, SE, SEL), Mitsubishiâ€™s 2.4-liter inline-4 with 168 hp. Is the standard engine. Paired with CVT and electronically variable all-wheel-drive, this is a better choice and worth the extra bucks. The same system used in Mitsubishiâ€™s Outlander Sport SUV, the 2.4-liter is adequate for most driving situations. The Lancer performs better on the road and in highway driving. It feels secure and sporty, although a little noisier than competitive compacts. Steering is responsive in the Lancer, but again, it doesnâ€™t stand out when compared to its rivals. Safety wise, the Lancer is equipped with the latest in technology, including fog lights, LED running lights, ABS with electronic braking distribution and brake assist, traction control logic, active stability control, side curtain airbags, driverâ€™s side knee airbag, advanced dual-stage front airbags. Lancer has received the IIHAS top rating of â€œGoodâ€ in front offset, side impact and rear impact testing, as well as roof strength testing. For 2017, the Lancer receives the rearview camera. The 6.1 Touch panel display is small, but adequate. Auto air conditioning climate control is easy to use but not very showy. The Lancer also offers the FUSE hands-free Link System with Bluetooth technology and USB port. Keyless entry with panic alarm is also standard. Conscious money savers may opt for the Lancer ES 2.4 or SE 2.4; while the more sports-minded will choose the SEL 2.4 AWC. We suspect the manual transmission might add a little to the carâ€™s sportiness and show off its sport suspension. But as we know, manual drivers are few and far between these days. Will buyers choose the Lancer over competitors such as Honda Civic, Hyundai Elantra, Nissan Sentra, Subaru Impreza? Remains to be seen. As with all categories today, itâ€™s a hard choice. EPA fuel economy: 23/30/26 mpg.